Having a dog during pregnancy may give your babies protection from allergic eczema and asthma, a study has found. The findings showed a mother’s exposure to dogs before the birth of a child is significantly associated with lower risk of eczema by age two years. However, the protective effect goes down at age 10. Further, it may also provide a protective effect against asthma, even in children allergic to dogs, the researchers said. “Although eczema is commonly found in infants, many people don’t know there is a progression from eczema to food allergies to nasal allergies and asthma,” said lead author Gagandeep Cheema, allergist from the American College of Allergy, Asthma and Immunology (ACAAI). “We wanted to know if there was a protective effect in having a dog that slowed down that progress,” Cheema added. For the study, presented at ACAAI Annual Scientific Meeting in Boston, the team examined mother-child pairs exposed to a dog. The researchers examined the effects of two different types of dog exposure on children with asthma in Baltimore. 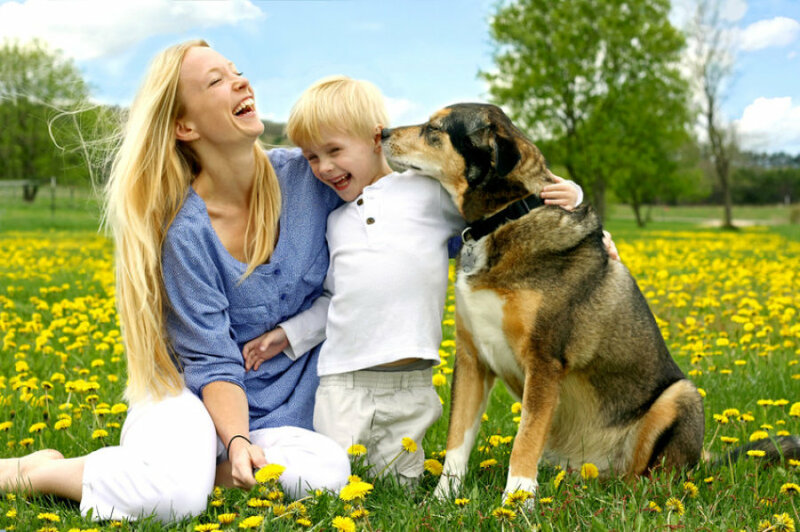 The first type was the protein, or allergen, that affects children who are allergic to dogs. The second type were elements, such as bacteria, that a dog might carry. The results revealed that exposure to the elements that dogs carry may have a protective effect against asthma symptoms. A child’s contact with factors other than dog allergen, such as bacteria or other unknown factors, may provide the protective effect, the researchers said.